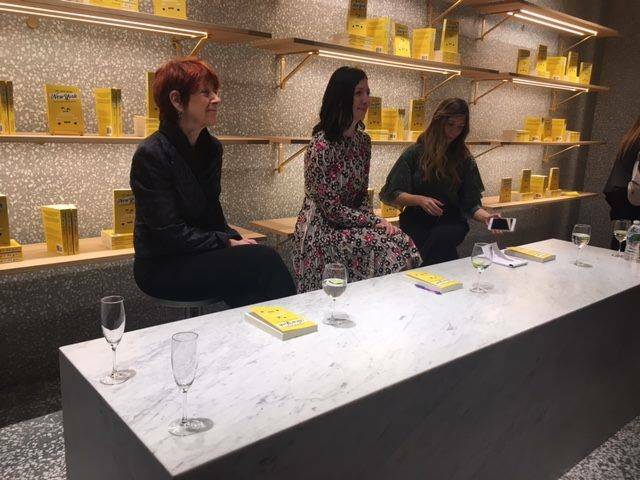 Susanna de Ciechi (L), Annalisa Menin, and Francesca di Matteo (R) at the My Last Year in New York book launch. Copies of the book in English and Italian were available for purchase. 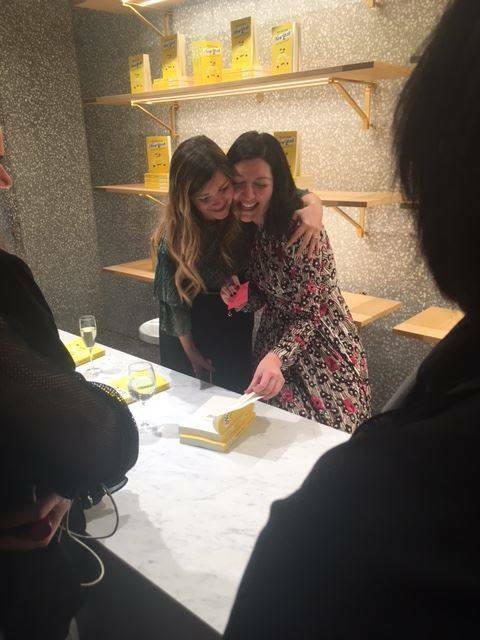 Menin and Francesca Di Matteo at the book signing. 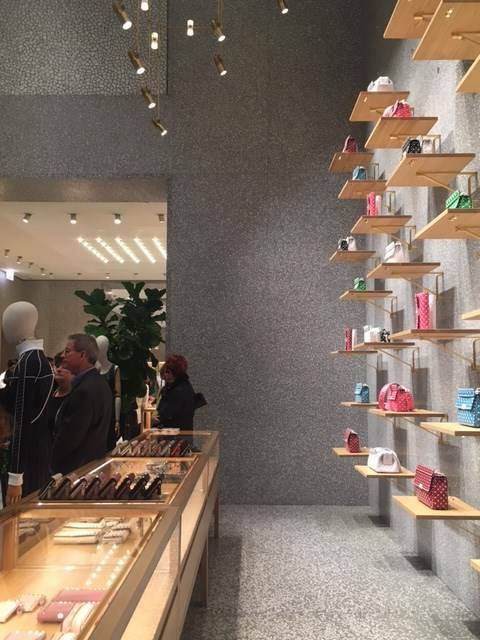 The mood was warm and affectionate at the Valentino store on Fifth Avenue Tuesday evening (Nov. 14), as guests filtered in for a special event at the luxury designer showroom. Annalisa Menin, woman of the hour, greeted her guests individually with a tender embrace, and the classic double-kiss on the cheek. For Menin, this date, Nov. 14, holds a double-significance. It is her birthday, but that is not why she chose to inaugurate the book this day. On Menin’s 30th birthday, her beloved husband Marco organized a surprise party for his wife, even though he had fallen very ill by that time. Blowing out the candles on her cake, Menin recalls she wished for Marco to get well, a sentiment she now has tattooed on her right forearm. Her wish never came true, as Marco passed away the next day. 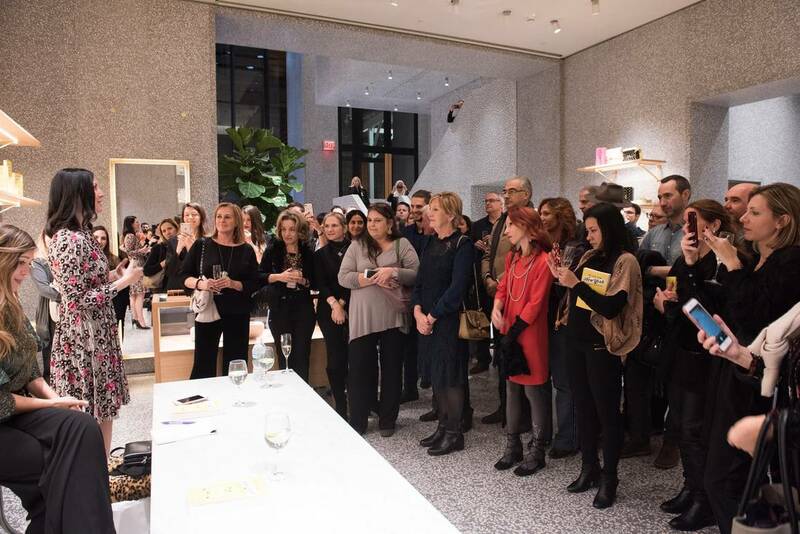 Zarifa Maria Garofalo, Menin’s U.S. publicist, introduced a presentation of the book to a crowd gathered around a table where Menin, De Ciechi and journalist Francesca di Matteo were seated. Dozens of copies of the novel were displayed on the shelves behind them. 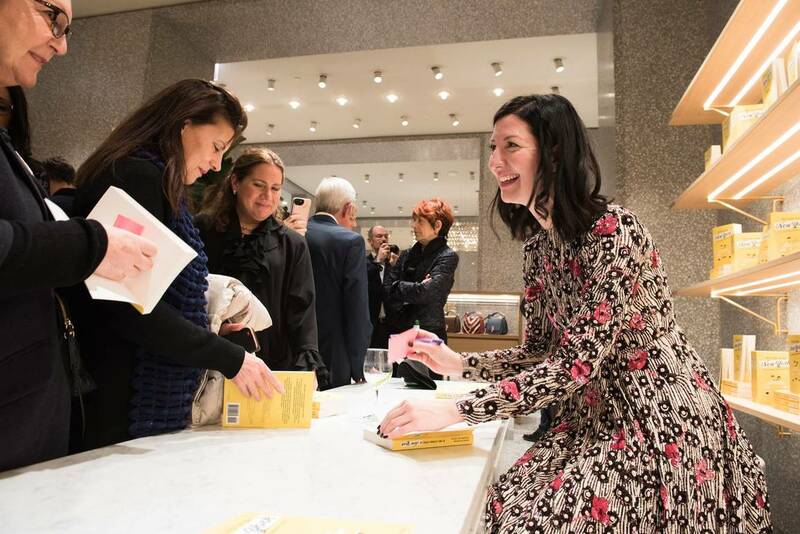 The event gathered the blogger (who navigates between the worlds of fashion, finance and real estate) and her guests in the precise place where her New York narrative began. 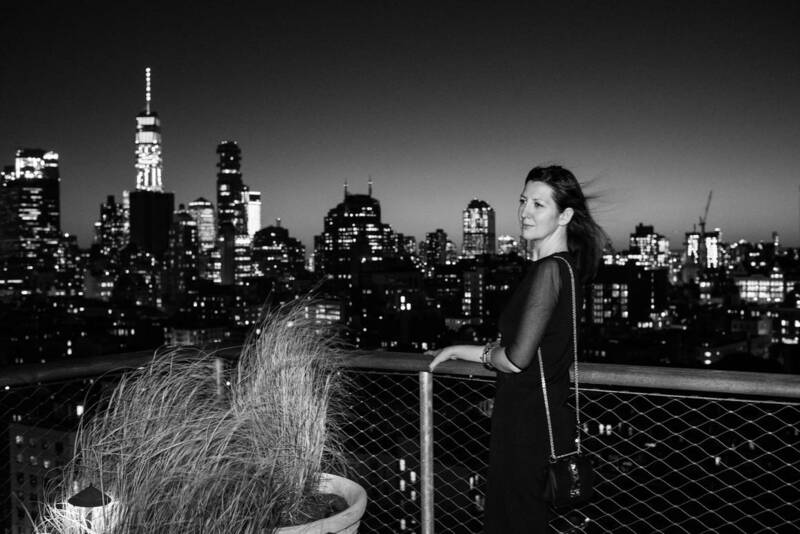 Eleven years ago, Annalisa Menin left her hometown of Venice, Italy for an opportunity to take an internship with the fashion company Valentino in New York City, one that would change the course of her life. It was there that, the day after she landed, she met the love of her life, Marco, an Italian immigrant from Fano who had been working at Valentino for a while. “My Last Year in New York is a story about immigration, about generational contrast, it’s a story about loss and rebirth, and most of all, it’s a story of love,” Menin revealed as she began addressing the crowd. He is actor Dennis Puglisi, and as he is joined downstage by fellow actress Claudia de Candia, the two reenacted a scene from the novel as young Marco and Annalisa. Throughout the presentation, they wove in and out of the storyline, with Menin filling in the blanks as a narrator in between. The final scene they performed almost brought Menin to tears. But she courageously held together for the following Q&A session with her co-author Ciechi, moderated by Di Matteo. Concluding the evening's formalities, Menin thanked the audience and a list of contributors to her project. De Ciechi also offered her own inventory of thank yous. This opened up the rest of the night for book-signing. 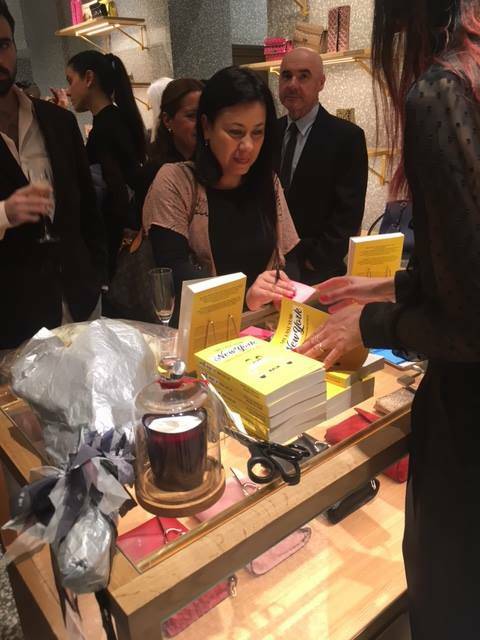 Guests formed a long line holding copies of My Last Year in New York, of which prints in both languages were available for purchase. The event also signaled the release of My Last Year in New York on Amazon. 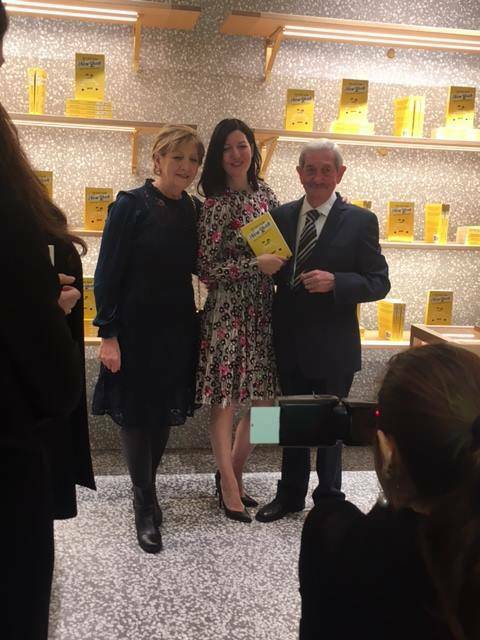 All proceeds from sales of the book will be donated to the charity initiative Remembering Marco, created by Menin in memory of her late husband. 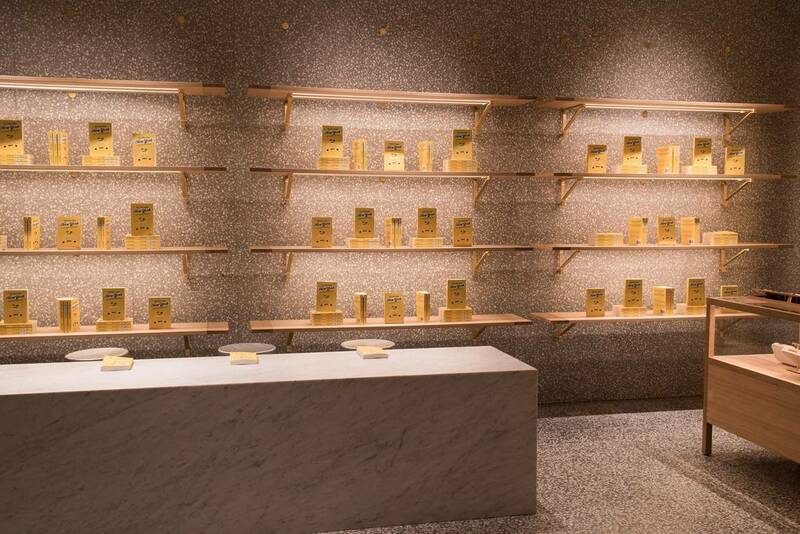 It is a program that annually grants a scholarship to a talented student from the Università Politecnica delle Marche in Italy to provide them with a 6-month internship at Valentino’s corporate office in New York City. “Let’s definitely celebrate my birthday, but I think tonight is all about Marco,” Menin said lovingly. 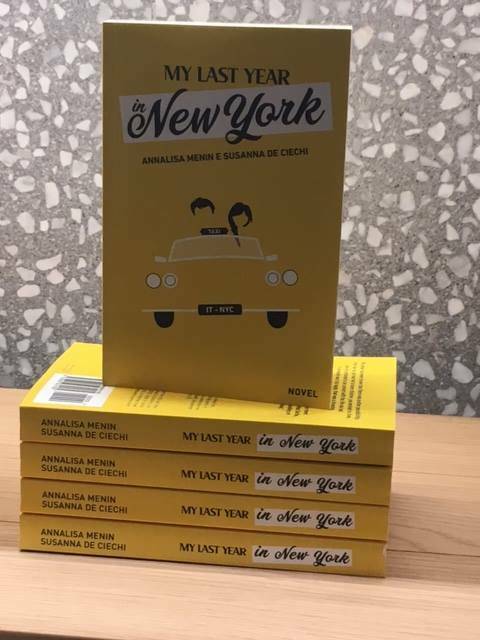 The novel draws its title from a question she has been grappling with for some time since her husband’s death: should she stay in New York, or should she go? Though she has now spent two "last years" in New York, it is an affirmation that Menin believes allows her to live each year in the city as her best. "The person who narrates this story and puts herself so much out there," said Ciechi as she recounted why, in the end, she decided to take on ghostwriting the novel with Menin, "begins again with a fresh start when she arrives at the last page of the book. I then asked myself: What could happen next?"